Donald Trump campaigned on the promise that he would immediately repeal the Affordable Care Act (Obamacare), and replace it with "a series of reforms ready for implementation that follow free market principles and that will restore economic freedom and certainty to everyone in this country." Congressional Republicans wasted no time in getting the ball rolling on ACA repeal, passing a budget resolution before Trump's inauguration, directing congressional committees to begin drafting legislation to repeal spending-related aspects of the ACA. And on Trump's first day in office, he issued an executive order directing federal agencies to be lenient in their enforcement of the ACA's taxes and penalties. But the ACA has proven to be very much entrenched in our health care system, and harder to repeal than GOP leadership anticipated. Despite that fact that Republicans control the House, Senate, and White House, ACA repeal failed in 2017. House Republicans passed their version of repeal (the American Health Care Act) in May 2017, but Senate Republicans failed to pass three versions of the bill in July 2017, and a last-ditch effort in September 2017 did not reach a vote on the Senate floor, due to lack of support. In December 2017, the Tax Cuts and Jobs Act eliminated the ACA's individual mandate penalty, starting in 2019. There is still a penalty for being uninsured in 2018, but there won't be a penalty for being uninsured in 2019 and beyond, unless you're in Massachusetts, New Jersey, or DC, all of which have their own individual mandates. Vermont will join them in 2020, and other states might consider implementing individual mandates in future years. or another state that implements its own mandate penalty. Some of the ACA's taxes, including the Cadillac tax, have also been delayed, under the terms of H.J. Res.125, the stopgap spending measure that was enacted in early 2018. The Trump Administration eliminated federal funding for cost-sharing reductions (CSR) in October 2017. But cost-sharing reduction benefits are still available to eligible enrollees, and the majority of exchange enrollees are no worse off, or actually better off, now that the funding was eliminated. That's because insurers in most states simply added the cost of CSR to silver plan premiums for 2018 and 2019, which has resulted in larger premium subsidies for everyone eligible for premium subsidies. As long as the federal government continues to allow insurers to add the cost of CSR to silver plan premiums in future years, most enrollees will be protected from the impact of the elimination of CSR funding, and many will continue to be better off, due to the larger premium subsidies. And the Trump Administration has also proposed regulations that would allow short-term plans to once again have durations of up to 364 days (a rule that the Obama Administration had tightened up, in an effort to protect the regular individual market), and allow more self-employed people and small businesses to enroll in association health plans. In 2016, President Obama signed legislation that allows small employers to set up health reimbursement arrangements so that employees can purchase individual market health insurance and receive reimbursement from their employer for some or all of the premium. Prior to 2017, this was not allowed under IRS guidance associated with Affordable Care Act implementation. And that IRS guidance still applies to larger employers: They are not allowed to reimburse employees for individual market health insurance. But the Trump Administration issued a proposed rule in October 2018, which if finalized, would allow employers of any size to use health reimbursement arrangements to reimburse employees for individual market health insurance. Under the terms of the proposed rule, large employers could use this approach to satisfy the terms of the ACA's employer mandate. Here's more about employer reimbursement of individual market health insurance premiums. Section 1332 of the Affordable Care Act allows states to propose innovative approaches to health care reform. Federal approval for these 1332 waiver proposals can be granted as long as the state can demonstrate that coverage will be at least as comprehensive and affordable as it would be without the waiver, that at least as many people will be covered under the waiver as woud be covered without the waiver, and that the waiver won't increase the federal deficits. Taken together, these rules are referred to as "guardrails" that are intended to ensure that states must use caution in designing their own health care reforms. Several states have received approval for 1332 waivers, mostly to implement reinsurance programs. But the Trump Administration issued guidance in October 2018 that greatly relaxes the "guardrails" that apply to 1332 waivers. Under the new rules, for example, people covered under short-term health plans would be counted among those "covered" under a state's innovative approach, even if fewer people end up with real health insurance (short-term plans are not regulated by the ACA and provide far less coverage than regular major medical health insurance). The Trump Administration also noted that they will be more lenient than the Obama Administration was in terms of approving 1115 waivers for states that want to make changes to their Medicaid programs. At the top of some states' wish lists is a work requirement for Medicaid (which was always rejected by the Obama Administration), and five states have already received approval for a work requirement in 2018: Arkansas, Kentucky, New Hampshire, Wisconsin, and Indiana, with several other states' proposed waivers under consideration by the federal government. If your employer offers coverage now, they will likely continue to do so. The employer mandate, which requires large employers to offer coverage, remains unchanged. Your premiums are likely to remain pre-tax. 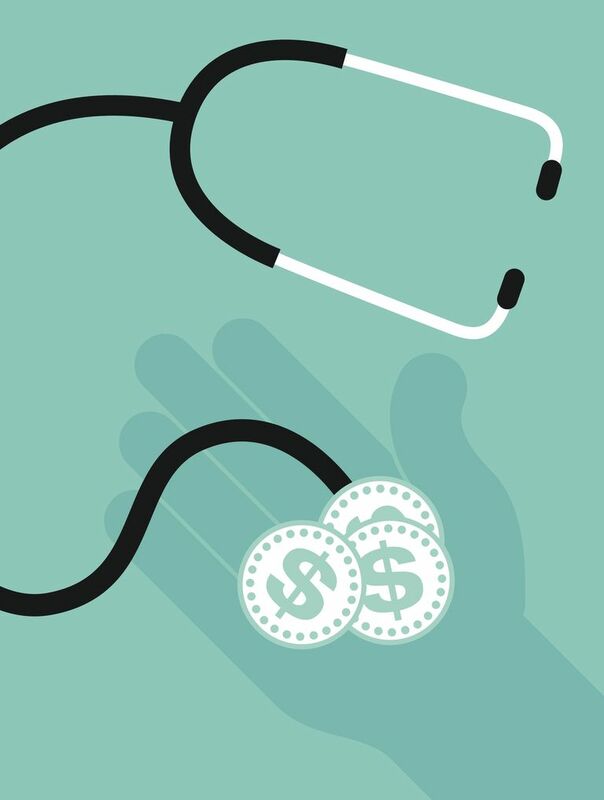 You may see a shift to high-deductible health plans (HDHPs) and health savings accounts (HSAs). If you work for a small business, your employer might eventually switch to an association health plan. Roughly half of Americans get their health insurance from an employer. And while the ACA absolutely made some significant changes regarding employer-sponsored coverage, employer-sponsored plans were already much more regulated, under HIPAA, than individual market plans. The ACA requires large employers (50 or more employees) to offer affordable, comprehensive coverage to full-time (30+hours per week) employees. And although the ACA's individual mandate penalty will be eliminated as of 2019 (ie, there will no longer be a penalty imposed on people who don't have coverage), the employer mandate penalty remains in place, and large employers must continue to offer coverage. Even if the employer mandate were to be eliminated via future legislation, most large employers would likely continue to offer cover coverage. Almost all large employers already offered health benefits prior to the ACA. Kaiser Family Foundation data indicates that 96 percent of large employers (50+ workers) were offering health benefits in 2015. That was only slightly higher than the 95.7 percent of large employers who were offering health benefits in 2013, when the employer mandate wasn't yet in place. Employers use health insurance—along with the rest of their benefits package—to attract and retain the best employees. And they get to use pre-tax funds to pay for the benefits they provide (as do the employees). Barring a substantial change in the tax code, it's likely that employers will continue to offer coverage going forward, at least in the near-term. If you work for a small employer and your employer obtained a small group plan since 2014, your plan includes coverage for the ACA's essential health benefits. If the ACA's essential health benefits were to be altered going forward, the specifics of your coverage could change. But legislation that would have altered essential health benefits did not pass in 2017 and was not seriously considered in 2018, so nothing has changed for the time being. And even if it did change in the future, there were various reforms—such as HIPAA and the Pregnancy Discrimination Act—that were already applicable to the employer-sponsored health insurance market prior to the ACA, and they won't be impacted by any changes that are made to the ACA. But the Trump Administration has finalized new regulations for association health plans, which opens those plans up to more small businesses. Association health plans can offer lower health insurance premiums, along with reduced health benefits, for small businesses that join association health plans. That, in turn, will likely result in higher health insurance premiums for small businesses that continue to purchase ACA-compliant coverage, because it will be healthier, younger groups that migrate to association health plans, leaving a sicker, older risk pool for the ACA compliant plans. Expanded access to association health plans first became available in September 2018, and is being phased in (depending on whether the plan is self-insured or not) through early 2019. So the effects of expanded association health plans are likely to be felt over the next few years. The individual mandate is still in place for 2018, but will be eliminated as of the start of 2019. But if you want coverage, you still need to enroll during open enrollment (November 1 to December 15 in most states), as plan purchases outside of open enrollment will continue to be restricted to only people who experience a qualifying event (and are able to provide proof of the qualifying event). Premium subsidies and cost-sharing reductions are still available for eligible enrollees. Coverage is still guaranteed issue. Health Savings Accounts (HSAs) and high-deductible health plans (HDHPs) are likely to be more emphasized in future years. Short-term plans are available with longer durations in many states. Association health plans are available to self-employed individuals in some states. If you buy your own health insurance, either in the exchange or off-exchange, you already know that the ACA made drastic changes to the individual health insurance market. All of those reforms are still in place, and likely to remain in place for the immediate future. The individual mandate penalty has been repealed effective 2019, but it's still in place for 2018, and will be collected on 2018 tax returns, filed in early 2019. The ACA's premium subsidies and cost-sharing reductions continue to be available to eligible exchange enrollees, and nothing about that is likely to change in the near future. Congressional Democrats have proposed legislation that would shore up the subsidies, making them more robust and available to more people. It's possible that such a change could happen now that Democrats have taken control of the House in the 2018 election, but it's still unlikely, given the Republican majority in the Senate. In final regulations for 2019 coverage, HHS notes that they plan to "encourage issuers to offer HDHPs [high deductible health plans] that can be paired with an HSA [health savings accounts] as a cost-effective option for an enrollee." The agency also noted that they are "exploring how to use plan display options on HealthCare.gov to promote the availability of HDHPs to applicants." So in some areas, consumers may see more HSA-qualified health plans available in the individual market in 2019 and beyond. But non-HSA-qualified plans will continue to make up the bulk of the available individual market options. The Trump Administration has also finalized new regulations for short-term plans, allowing the plans to have initial terms of up to 364 days, and total duration, including renewals, of up to three years (about half the states have more restrictive rules, however, and the state rules apply in that case). For healthy enrollees, these plans will likely be attractive alternatives to ACA-compliant plans, since they are much less expensive. And as of 2019, there will no longer be an individual mandate penalty assessed on people who purchase short-term coverage. But short-term plans are limited in the scope of their coverage (most do not cover maternity, mental health, or prescription drugs), and they tend to have blanket exclusions on pre-existing conditions. In addition, short-term plans have annual and lifetime benefit maximums that can be quite low, depending on the plan. Short-term plans will obviously only appeal to healthy people, as pre-existing conditions aren't covered. Depending on how many people purchase short-term plans, the risk pool for ACA-compliant plans could become more healthy skewed towards sicker, older consumers, resulting in increased premiums. For people who get premium subsidies, the increased premiums will be offset by larger premium subsidies. But for people who aren't eligible for premium subsidies, the increased premiums will only make coverage increasingly unaffordable. The same thing will likely happen with association health plans for self-employed people. The new regulations allow self-employed people to purchase association health coverage instead of ACA-compliant major medical coverage. Where those plans are offered, the healthiest self-employed people are likely to switch to the lower-cost association plans, leaving older, sicker people on the ACA-compliant plans, with correspondingly larger premiums. Premiums in the ACA-compliant market are also higher as a result of the elimination of the individual mandate penalty in 2019. The Congressional Budget Office (CBO) projected that 3 million fewer people will have individual market coverage in 2019 as a result of the penalty elimination, growing 5 million by 2021. CBO predicts that premiums will be about 10 percent higher each year than they would have been if the mandate penalty had remained in place, since the people who are likely to drop coverage without the mandate are healthy people (sick people will keep their coverage, regardless of whether there's a penalty). In virtually every state, insurers confirmed in their 2019 rate filings that rates that the elimination of the individual mandate penalty and the expansion of short-term plans and association health plans would result in higher premiums for 2019. People who get premium subsidies will be insulated from the rate hikes (via larger premium subsidies), while those who aren't eligible for subsidies will be subject to increasingly unaffordable coverage options. Nothing is changing for now. GOP reform proposals are not under current consideration, and if they are eventually enacted, they call for long-term changes, rather than immediate changes. Outgoing House Speaker Paul Ryan has long pushed for Medicare reform for people currently under age 55 (towards more privatization), and his chances of making it happen were much higher under the Trump Administration than they would have been under President Obama. But Democrats regained the majority in the House in the 2018 election, and are likely to strongly reject any further GOP efforts to privatize Medicare. The ACA is continuing to close the donut hole for Medicare Part D. For brand-name drugs, the donut hole is closing a year ahead of schedule, in 2019. And for generic drugs, it will close in 2020. The ACA didn't make many changes to Medicare. It did require Medicare to start covering annual wellness visits, and it has been steadily closing the Medicare Part D donut hole, which will be fully closed by 2020 (for brand-name drugs, it's closing a year ahead of schedule, in 2019, due to the Bipartisan Budget Act of 2018). And although it reduced reimbursement for Medicare Advantage plans, enrollment in Medicare Advantage has grown every year since the ACA was enacted. Medicare reform and privatization has long been a talking point in GOP healthcare reform proposals. House Republicans published a proposal to overhaul Medicare in 2016, but it did not advance as of 2018, and Republicans have lost their majority in the House starting in 2019. If your state has expanded Medicaid under the ACA, those eligibility guidelines are still in effect, and several additional states are expected to expand Medicaid in 2019. Kentucky, Arkansas, New Hampshire, Wisconsin, and Indiana have received federal approval for Medicaid work requirements for non-disabled adults, and several other states are awaiting federal permission to implement similar requirements. States that haven't expanded Medicaid can still do so, with the same federal funding that applies in other states that have already expanded Medicaid under the ACA. Each state's Medicaid program is jointly funded with state and federal money. States with higher per capita income receive a smaller percentage of federal matching funds, while those with lower per capita incomes receive more federal matching funds. In states that have expanded Medicaid (32 states and the District of Columbia), the federal government is paying 94 percent of the cost of covering the newly-eligible population in 2018. That will drop to 90 percent by 2020, and remain at that level going forward. The other 18 states can still opt to expand Medicaid, and four of them are expected to do so in 2019 under the terms of ballot initiatives that were approved by voters. Legislation that was considered in 2017 to repeal the ACA would have blocked additional states from expanding Medicaid, but that legislation was never enacted. The Trump Administration has made it clear that they are being much more lenient than the Obama Administration was in terms of approving 1115 waivers for states that want to make changes to their Medicaid programs. In 2018, Kentucky, Indiana, New Hampshire, Wisconsin, and Arkansas have already received federal approval to implement work requirements for Medicaid enrollees (the work requirement in Arkansas took effect in July 2018, and 12,000 people had already lost their coverage by November as a result). Several other states have pending waiver requests, and several more are considering waiver proposals. So non-elderly adult Medicaid enrollees in quite a few states may soon find themselves having to provide proof of their work hours (or volunteer, school, job training, etc. hours) in order to keep their Medicaid coverage. So while the overall guidelines for Medicaid eligibility remain largely unchanged, enrollees may be increasingly subject to more nuanced eligibility rules, such as a work requirement or small premiums, and more frequent eligibility verifications. Although the ACA has been in place for eight years, it's always been a politically divisive piece of legislation. Congressional Republicans were unable to repeal it in 2017, but legislative and regulatory efforts to chip away at the ACA are ongoing. For the most part, consumer protections and insurance regulations remain unchanged heading into 2019, and major legislation to undermine the ACA is unlikely to pass once the Democratic majority takes office in the House in 2019. But health care reform will likely continue to be a major issue at both the state and federal level over the next few years, and 2020 presidential platforms are likely to include extensive health care reform proposals. Department of the Treasury, Department of Labor, Department of Health and Human Services. Excepted Benefits; Lifetime and Annual Limits; and Short-Term, Limited-Duration. August 1, 2018. Federal Register. Patient Protection and Affordable Care Act, HHS Notice of Benefit and Payment Parameters for 2019. April 17, 2018. House of Representatives, GOP Healthcare Proposal. A Better Way, Our Vision for A Confident America. June 22, 2016. Kaiser Family Foundation. Health Insurance Coverage of the Total Population. 2016. Kaiser Family Foundation. Overview of Medicaid Per Capita Cap Proposals, June 22, 2016. Kasier Family Foundation. Percent of Private-Sector Establishments That Offer Health Insurance to Employees, by Firm Size. 2012-2015.